Urban Sketchers Seattle: Radish season! Piles and piles of radishes stack the stands at the Olympia Farmer's Market. 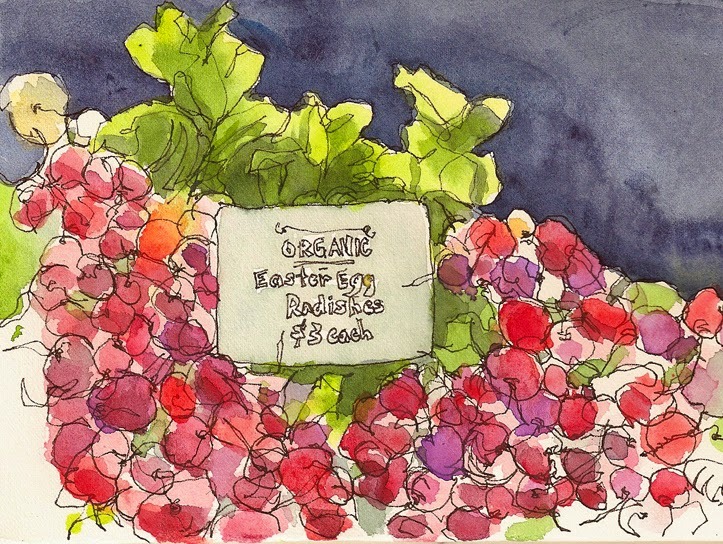 I sketched these, organic Easter egg radishes, at the Calliope Farms stand. The proprietor, Jacob Wilson, told me about his farm near Evergreen where he and Megan Marina tend "about six acres of cultivated ground, pasture, greenhouses, orchard and nettle patch." Check them out to add a little colorful spice to your palate.